The book details 10 short walks, between 9km (5½ mile) and 5.5km (3½ miles) in length in this often neglected corner of north-west England. Each walk has a turn-by-turn description and sketch map, along with information on the terrain and nearest parking and railway station. Following this are the ‘tales’ – local information to enliven the walk, from history to natural history – the area is blessed with several nature reserves – to folklore and viewpoints. Many of the walks have shorter versions for those who don’t want to undertake the full length. Along the routes you may encounter fairy steps, tidal bores, giant hairy serpents and massive sheep-eating eels, at least if local lore is to be believed for the last two. The area is full of interesting features, both man-made and natural, from defensive towers, to climbing quarries to potentially dangerous shifting sands. And for the romantic movie buff or train enthusiast, the setting for Brief Encounter, Carnforth station, is close-by. Beth Pipe has written the text and her husband Steve has taken the photographs, of which there are plenty, ranging from sunsets across Morecambe Bay to macro shots of some of the smaller wildlife to be encountered in the area. 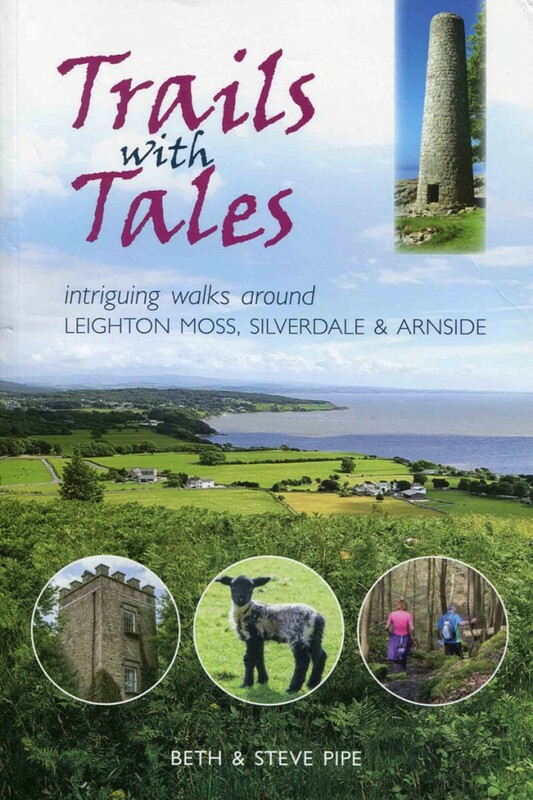 For anyone visiting this land, straddling Lancashire and Cumbria, Trails with Tales provides plenty of scope for exploration of the district. Personally, I always like to know a few facts about the places I walk, and this book does a good job of enhancing outings in this sometimes under-appreciated but interesting corner of the country.